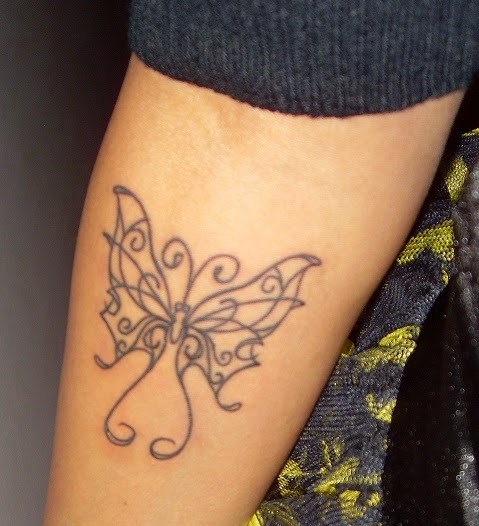 I have been contemplating a third tattoo for a while, but until I was inspired to look up chaos theory and the butterfly effect, I finally found an image and a symbol that spoke to me. My new ink is in keeping with my zodiac theme, adding the Celtic zodiac symbol for my birth to the dragon and scorpion tattoos that I already have. It represents something that I thought I'd lost. A rebirth, if you will. And many other things, not the least of which has a lot to do with my love of books and, subsequently, of writing. This is my butterfly in the sky. I also had him touch up my dragon. The one people who obviously don't know me mistakenly call a seahorse, thereby earning my secret ire. That's not too far off the mark though. My zodiac triptych is complete. Now I'll move on to my geekery -- specifically, gaming, and the game that started me down a long road.